We supply a full range of mobile hoists with lifting capacities up to 200kg. All our hoists are easy to use, with battery operated lift mechanism and either battery operated or manual leg control. All use the loop system to fit the slings so any standard type of sling can be used. We offer various standaids, which depending on the type of sling used can either stand patients from a chair etc. or to safely transfer someone from one place to another. All are battery operated lifts with an option of powered or manual leg openers. 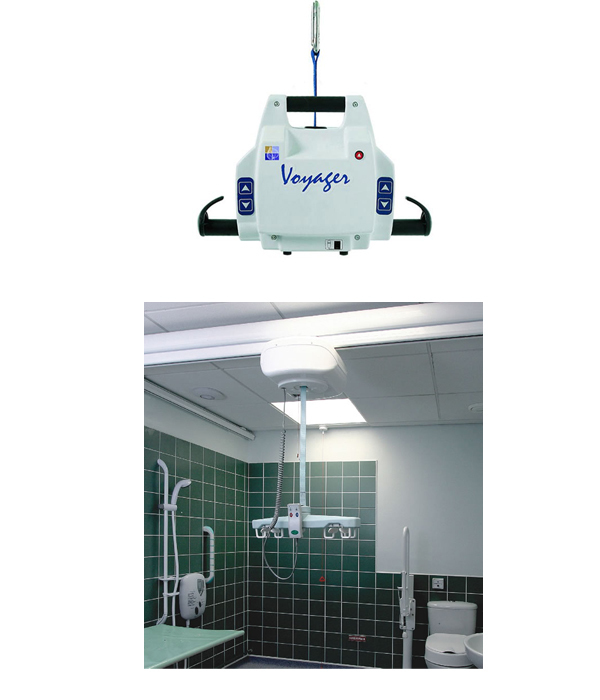 Ceiling track hoists are ideal for transferring patients where space to use a mobile hoist is limited or where a permanent installation is required. Hoist tracks can be fixed into the ceiling joists, onto the walls or be fitted onto a gantry with legs as required. The tracking systems are made up modularly so can be configured to go round bends, through turntables to give multiple directions, have full room coverage with xy systems and even go from room to room by utilising a transit coupling or gate system. Our helpful friendly staff will advise of the best option for you to meet your needs and arrange a site survey to see how best your new hoist can be fitted. Whichever set up you require & choose you can be assured you are in safe hands and that we have many years’ knowledge & experience of carrying out this kind of work and that we will see your job through from initial idea to final installation and that you will have your own designated project manager from start to finish. As with the mobile hoists all our ceiling track hoists can be used with any standard loop fitting sling. We then offer a fully comprehensive after care service to service and certify your lifting equipment to comply with the LOLER regulations. 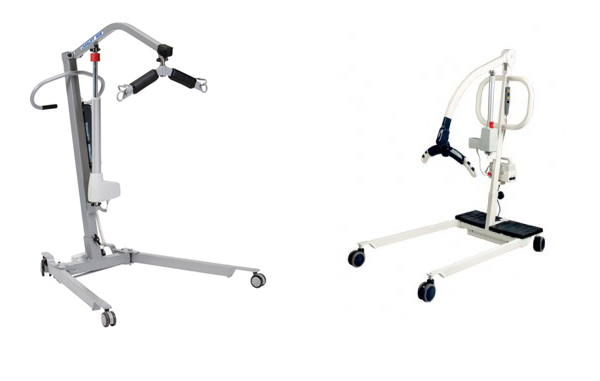 We offer a full range of slings for all the types of hoists we supply including quick fit, toileting and single user disposable for mobile & ceiling track hoists and both standing and stand assist for standaids. 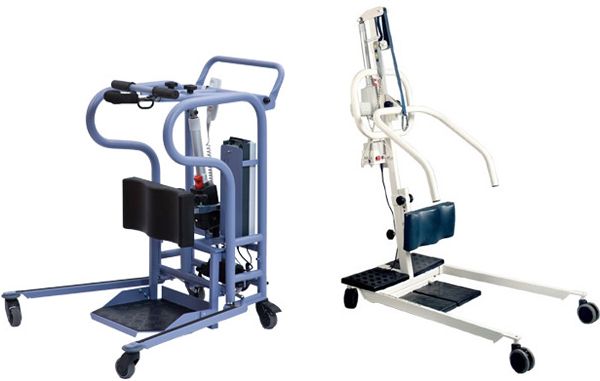 We also offer a wide range of manual moving & handling aids such as slide sheets, transfer boards, rota stands and handling belts etc. please contact use for the full range.